Halloween is sparkle-frenzy time! November updates follow. What surreal times these are. I apologize for being so difficult to get a hold of, I am fairly swamped and my helpers are incapacitated, this month. I want to sparkle all of you! Your best bet for guaranteed sparkling is to make a personal appointment with me on a Tuesday, Thursday, or Saturday when I am not booked for another event - text or email anytime, 503-720-5486 or serafaery@yahoo.com (email less likely to get lost). 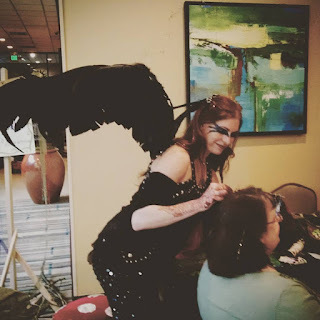 Friday, November 3rd: 11am-6pm, Faery Hair Friday at the Fernie Brae, 4035 SE Hawthorne, Portland, drop in! 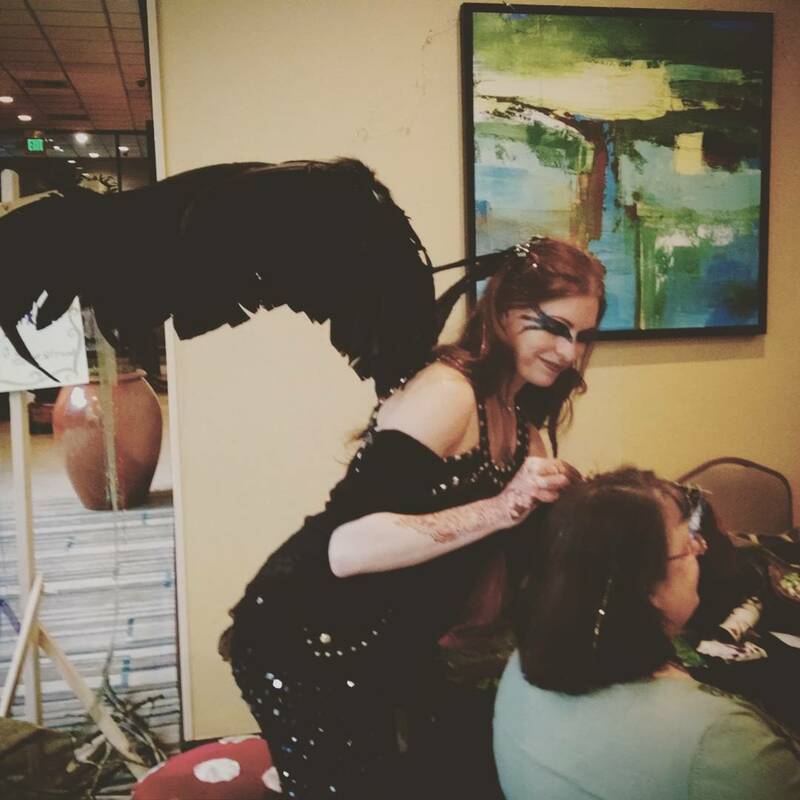 Friday, November 10th: 11am-6pm, Faery Hair Friday at the Fernie Brae, 4035 SE Hawthorne, Portland, drop in! Friday, November 17th: 11am-6pm, Faery Hair Friday at the Fernie Brae, 4035 SE Hawthorne, Portland, drop in! Friday, November 24th: 11am-6pm, Faery Hair Friday at the Fernie Brae, 4035 SE Hawthorne, Portland, drop in!